Simon Miller. Shrimps. Clare V. Truss. Staud. There's nothing more that I love than a good bag to finish off a well put together look. After doing a major closet cleanse in which I sold everyone's favorite Cult Gaia 'Ark' bag, -Yes, girl. I sold it,- I've been on the hunt for a bag with some added texture and detail but one that wasn't too trendy or overdone. I'm pretty familiar with the designers in today's post however I've been eyeing their pieces alot more as of late and am thoroughly impressed with their style, functionality and most importantly, middle-ground price point. 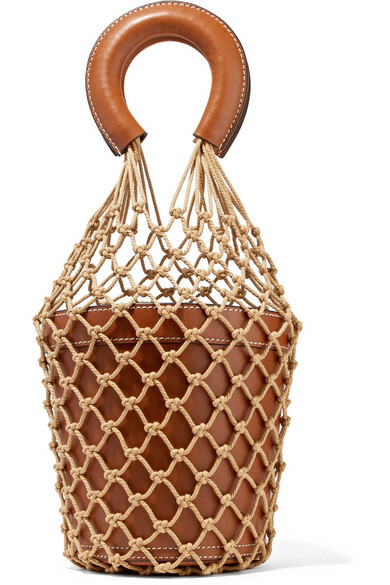 Be sure to keep an eye on my IG as I may or may not have pre-ordered the Staud 'Moreau' bucket bag back in March and is supposed to arrive later this week!